Finding a good hairstylist that you can trust can be harder than finding a soul mate. And when you do finally find that hairstylist, aren't they actually like a soul mate? I'm being serious! My hair is one of the only things I have ALWAYS, CONSISTENTLY loved about myself, which is why I take finding a stylist so seriously. I found Anastasia Kim in the fall of 2015 while I was on a quest to find the best hairstylist in Chicago. I was scrolling through hashtags on Instagram when her rainbow-colored and perfectly-balayaged feed caught my eye. "OK," I thought to myself, "This girl can do my hair." 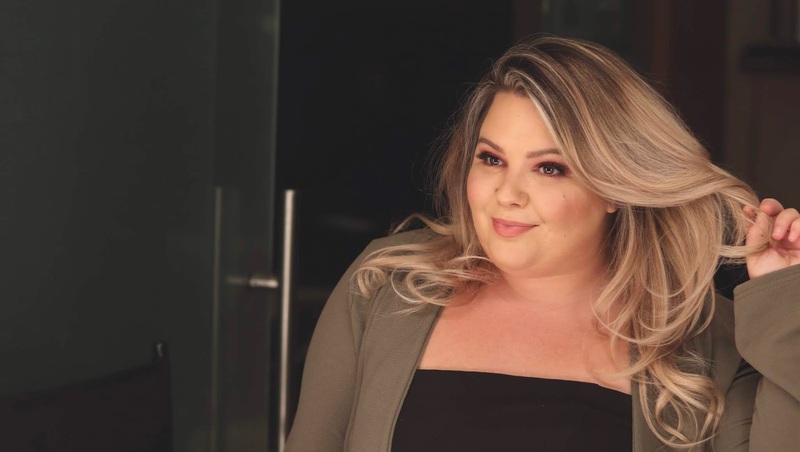 Fast forward three years later, and not only is Anastasia making major moves and creating new styles, but shes joined forces with Antoinette Avila—SIDE NOTE: Antoinette is a fabulous plus size diva just like us! 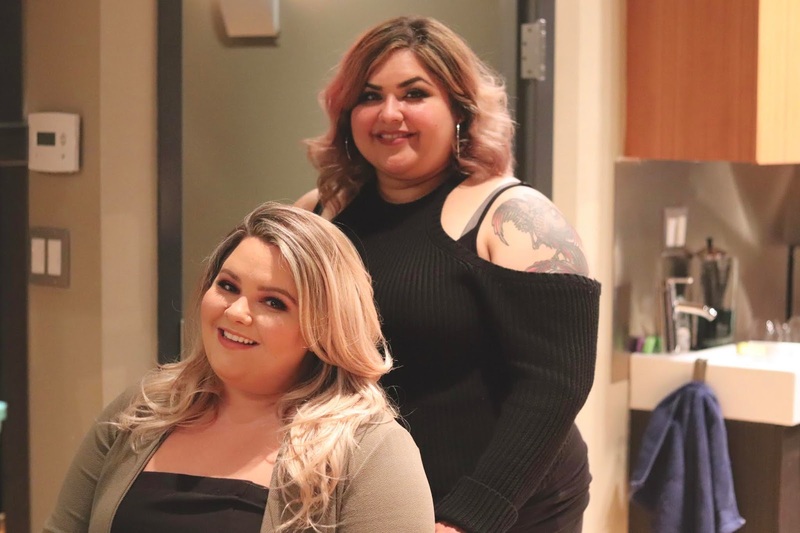 Together, Anastasia and Antoinette are the dream team of hair and makeup! Don't believe me? Scroll down for the before and after photos, hunny! And some of you are probably wondering, "But can she handle my type of hair?" YES. 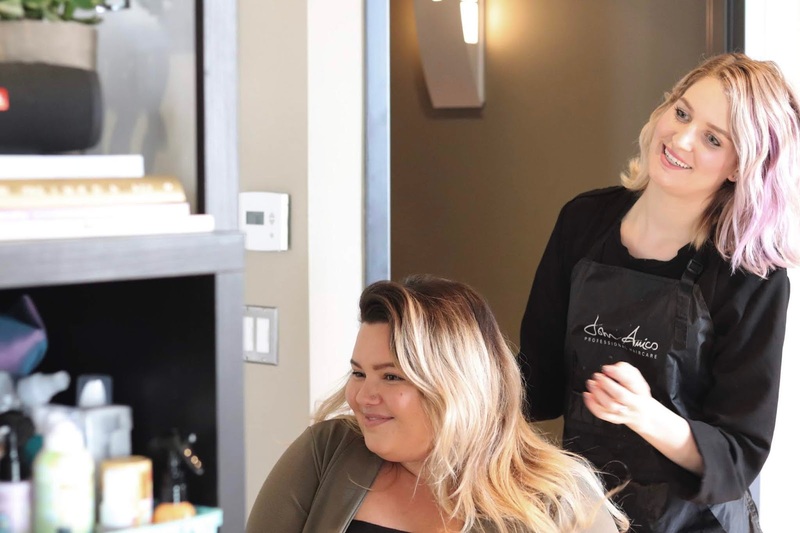 Anastasia majored in trichology (the science and study of hair structure), which means she understands what all ethnicities need when it comes to hair cuts, coloring, and treatments. I get so many emails, comments, and questions about my hair regimen, and how I got my hair so blonde and perfectly balayaged. Well, in short, the answer is Anastasia. But I have teamed up with Anastasia and Antoinette to get answers to all of your burning hair questions like, "How fast can I go full blonde?" and "What's the truth? Does trimming my hair more often make it grow faster?" Natalie: When a client comes to you with their hair goals and inspiration, how do you approach their vision and get them to trust you? Anastasia: One word, "COMMUNICATION." I believe it is a constant process of working together to create an understanding. I am upfront and honest about what is possible in a single session and I'm also transparent about what the journey looks like moving forward. I will not over-promise and under-deliver because we thoroughly discuss the shade and style of color we are going for. Inspiration photos truly help me understand what a client is looking for, but I also want to recommend my professional opinion. At the end of the day, I am here to serve my clients and therefore delivering their hair goals! A positive attitude and upfront honesty go really far in building trust in a stylist-client relationship. Natalie: When you go to get your hair done, should you arrive to the salon with dirty hair or freshly washed hair? I've heard dirty....am I right? Antoinette: Clean hair is the best because the color doesn’t have to break through the dirt and oil. Having clean hair before a color can give you an even result. The formulas for chemical services are not as harsh as they were in the past, so while this may have been true long ago, it's not anymore! Natalie: What are some common hair myths you ladies hear a lot, and what’s the truth? Anastasia: Trims make hair grow longer and faster. In reality, it makes hair grow more healthy. This is because the split ends are dusted from the bottom ensuring smooth cuticle all the way up the strand. Think of rope fraying. When it frays from the bottom, it unravels all the way up. The same goes for hair. It frays at the bottom and then splits all the way up making the hair brittle and frizzy. Another is that keratins damage the hair. The new formulas by John Amico (what I use) are formaldehyde-free and healthy for the hair! They come in three strengths: orange, smoothie, and chocolate—depending on the needs a client’s hair type. It is completely safe with hair color and improves the overall shine, health, vibrancy, and strength of the hair! Natalie: What is your advice for women or men who want to go full blonde, like me? Anastasia: Get ready for a journey. The best way to achieve your perfect shade of blonde is to visit for multiple sessions. This maintains the integrity of your hair and overall health. Every four to six weeks, you should visit for a toning session and use purple shampoo regularly at home! Antoinette: Being patient is key! Natalie: Okay! Fair enough, but what about those who want rainbow hair? Anastasia: Rainbow hair is HIGH MAINTENANCE! These colors are almost always semi-permanent and therefore fade with each hair wash. Every four to six weeks a color re-boost is necessary. Natalie: What are some tips you have for maintaining healthy hair? Anastasia: Regular treatments are vital. Once a week, I recommend Biominoil by John Amico. It comes in a glass vile and does complete wonders for the hair by restoring the pH and depositing the minerals the hair is composed of. Over time, washing, weather, and abuse to the hair can cause brittle ends and damage. Treatments actually restore hair to it’s natural state. Another is never sleep on wet hair. Hair is most fragile when wet and will break from friction on a pillow. For more tips come check me out at the salon! I have so many more to share! Antoinette: Make sure to use a heat protector on your hair with all hot tools! For our blondes, use wear a silk scarf while you sleep or a silk pillow case and keep up with regular trims! Natalie: Since it's summertime, do we need to protect our hair in the sun? If so, how? Antoinette: When you are out in the sun, it's crucial for you to protect your hair from UV rays. The sun can fade your color quickly. I recommend applying the Bio Complex Eleven Fluid from John Amico before hitting the beach! 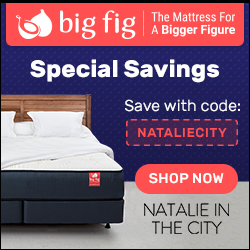 Natalie: How does your pricing range? Anastasia: My rates are fully dependent on length, density, hair goal desired, processes needed and the state of hair a client comes into the salon with (visit anastasiakim.com for starting prices and service details). 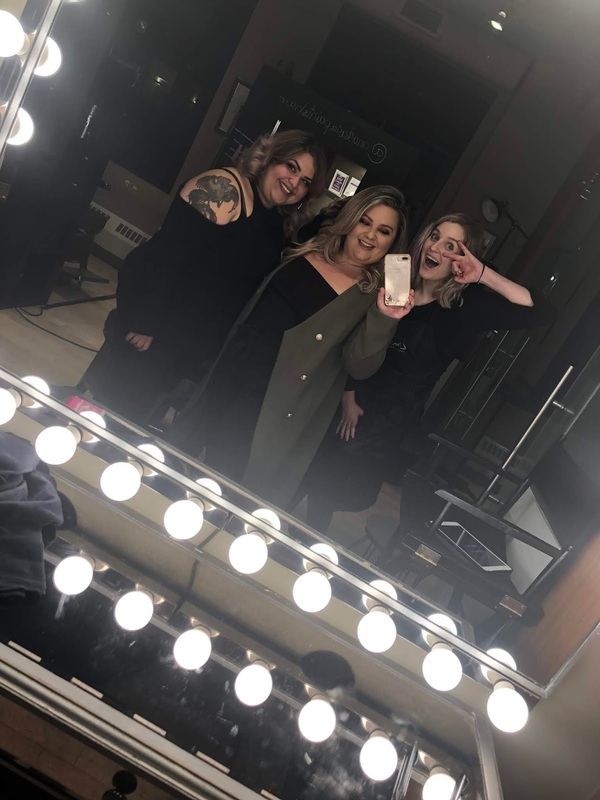 Natalie: Do you have any exciting events or news coming up around the salon? Anastasia: We are constantly growing as a team at Mane Space Salon Loft. We are progressive group of licensed stylists who have individual goals, as well as a collective vision. There are various stylist educational events coming up at Row 21 in the South Loop featuring several top Chicago hairstylists. Also, in 2019, I will be traveling every month to different salons across the country to educate other stylists on my techniques and color formulas.